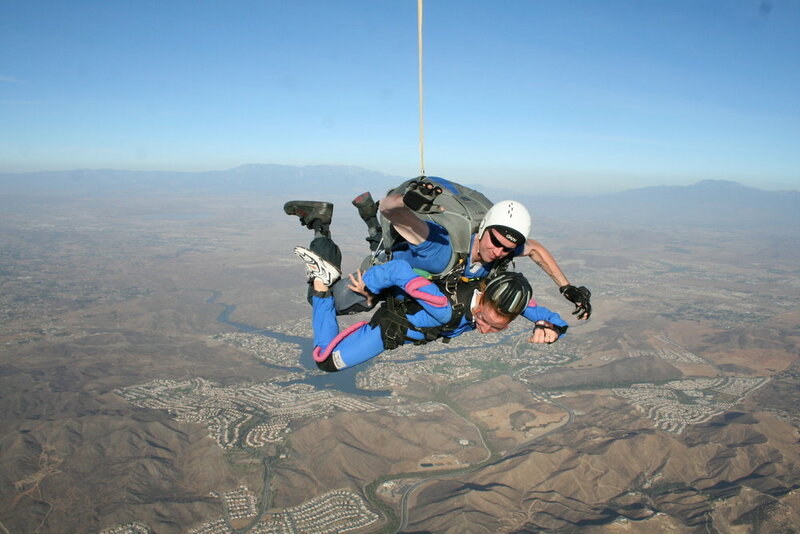 I have jumped out of an airplane twice; the second time was scarier than the first. I also got married that day, (the second time), which may have had something to do with my jumpy nerves, or it could have been because I knew what I was getting into, the minute of free-fall would be scary, but awesome. What I realized when I was falling at seemingly mock speeds, not being able to breathe, but still screaming out in fright and joy, then floating in perfect silence once I pulled the parachute, was that I knew that second jump was enough. I have never felt the urge to skydive again. The second time I raced an Ironman was scarier than the first. Starting the marathon at Vineman, 2009. I knew it would hurt more than I expected, because I knew what to expect; I knew it would last longer than I wanted it to, break me down and build me up more forcibly than I could’ve prepared for, and delivered me closer to touching tangible magic at the finish line than any other endeavor I experienced ever could. I have never felt the urge to stop racing. Sharing the Vineman finish-line feels with my Dad and Hannah. Vineman, 2009. I wake up every morning inspired to swim, bike, run, and lift. I don’t do all three every day, (although I would be up for that), and some days I feel like doing one more than others, I have yet to feel that I have done enough. I wonder when that day will come, or, if it ever will? I have lived a decent chunk of life by now, but I still feel like there is so much more ahead of me than behind. On my way to the top of Mt. Alyeska, Alaskaman, 2017. Photo courtesy of Mary Knott. Even with goals met or unmet, I am excited to learn more about myself every day by suffering a little or a lot; it is my simple recipe for finding the meaning of life. For example, I had a standard min-run life-altering moment during the twelfth mile of a run last Saturday. Just seconds after cresting a short steep hill, and opening my stride to pick up speed for the last two miles of the prescribed two-hour workout, I suddenly felt at peace with big choices I have made in the past that up until that moment, I had constantly second-guessed. In that instant, the throbbing weight I had been lugging for years melted away. Pulling my own parachute, literally and figuratively. I used to fear that I was running away from something, but really, I am running towards something. I am not sure what that is, but I have faith I am moving in the right direction and am enjoying every step along the way. That is enough.